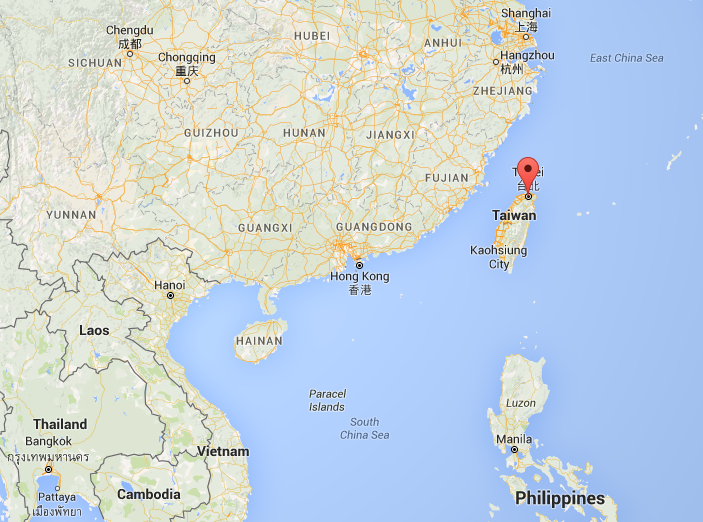 tl;dr – I’m in Taiwan wrapping up this Asia jaunt. 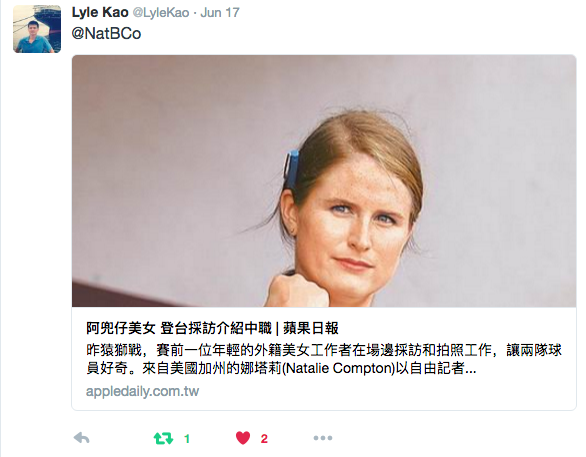 Apparently my appearance at the small baseball stadium was newsworthy, and someone wrote an article about me for Apple Daily, a Taiwanese news outlet. Varying angles aside, my time here in Taiwan has been interesting. 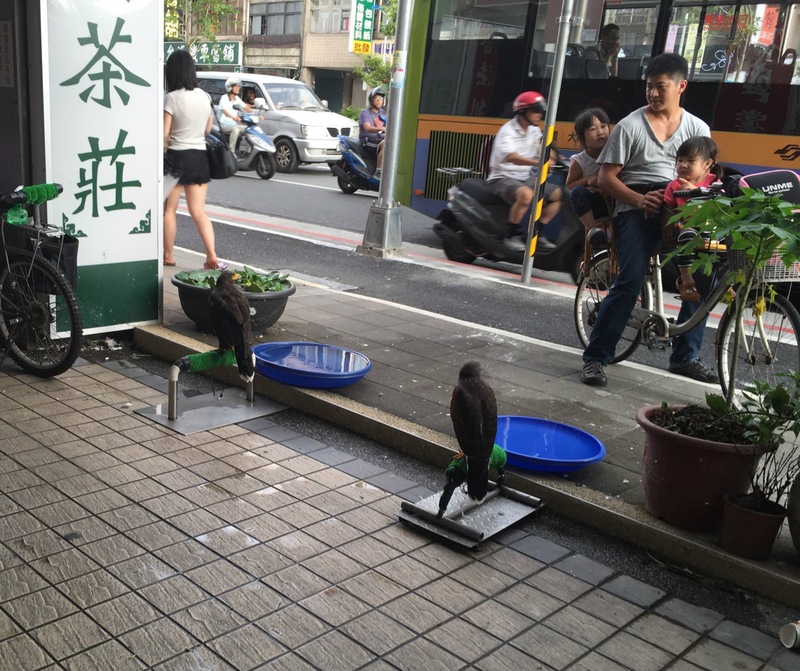 My Taipei neighborhood had some sort of hawk store, or medicinal hawk facility, I’m honestly not sure what the place actually was but there were hawks involved. It was a bizarre sight to pass every day for about two weeks. 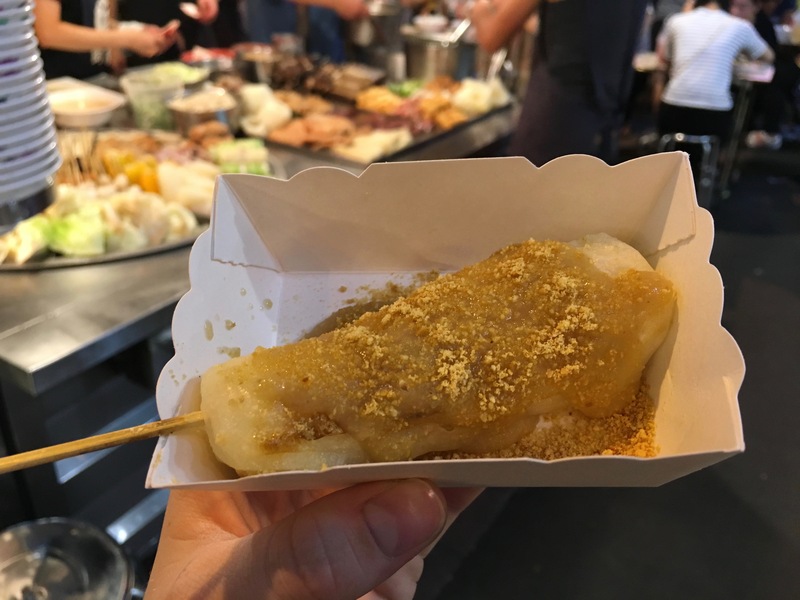 I piggybacked on my friendship with Bangkok-living Taiwanese cool girl Etty (check out her blog) and stayed with her family in a few different cities to get a taste of real life in Taiwan. 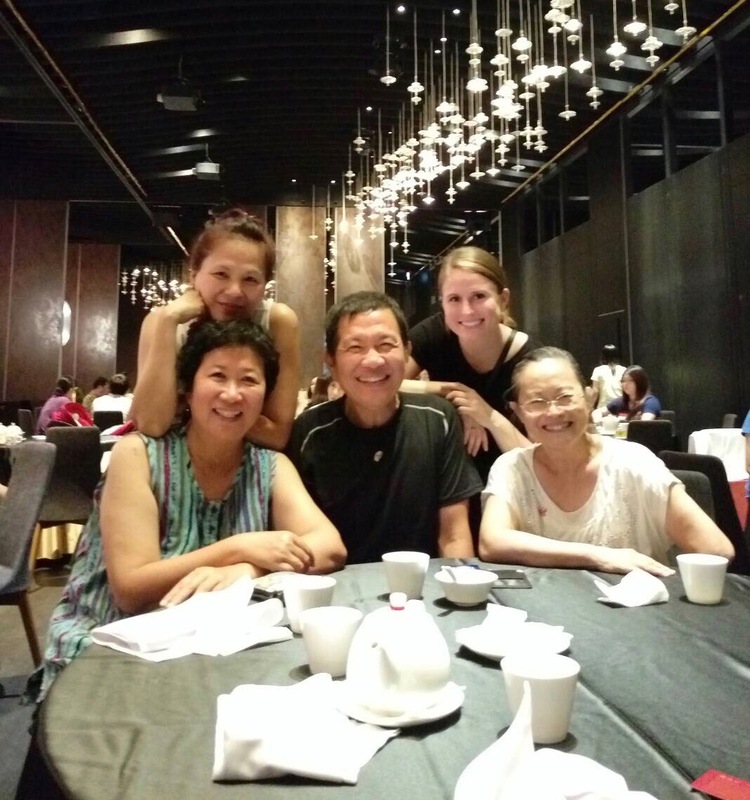 My first stop was Taichung to meet her parents, Judy and Pi-Jay Liu. The Liu family takes hospitality to another level. I was welcomed beyond belief, not only given a place to stay but treated to feast after feast, whisked away to sightseeing destinations, introduced to new friends. I couldn’t have been more taken care of (or full). Feeling welcomed into my new Taichung family. 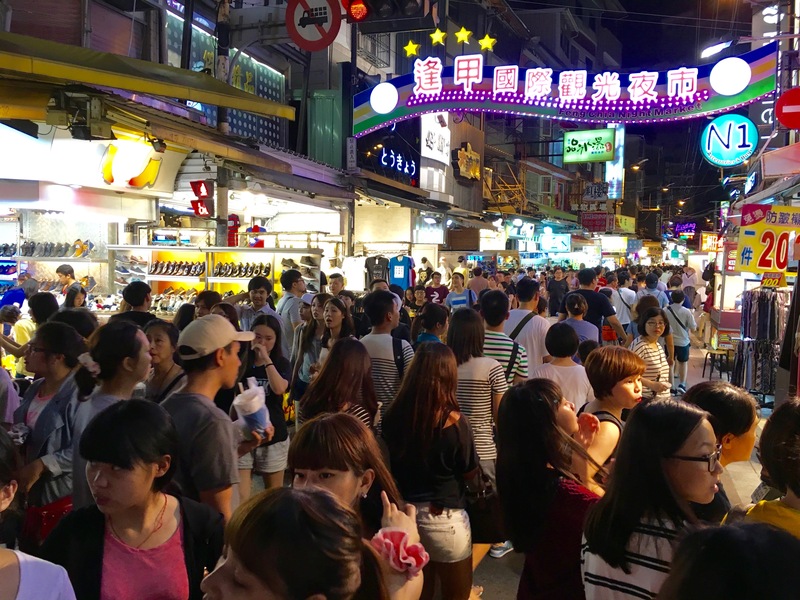 Lowkey Taichung night market, source of grilled mochi, stinky tofu, and more. 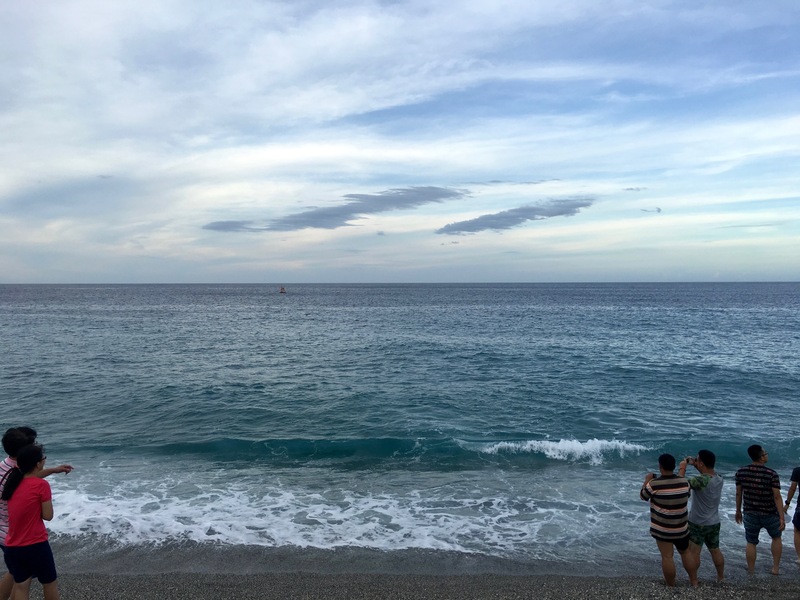 After a few days of being fed to maximum capacity (and then some), I took the train to Taiwan’s east coast, first to do research for a story in Yilan, and next to Hualien where I was shepherded by Etty’s cousin, Eric. It was so nice to be shown around different places by locals who are obviously much better at navigating Taiwan than I ever will be. I can now say I’ve eaten chicken feet, worn a Taiwanese aboriginal outfit, visited a Taiwanese elementary school. None of that would have been possible without the generosity of Etty and her kind, friendly family. 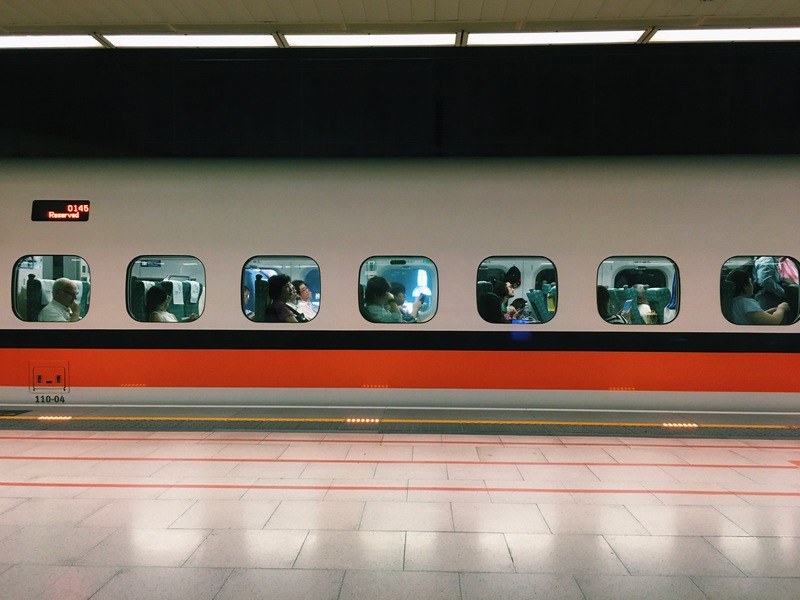 Taiwan’s high-speed train situation has made it really easy to hunt down Etty’s family all over the country. 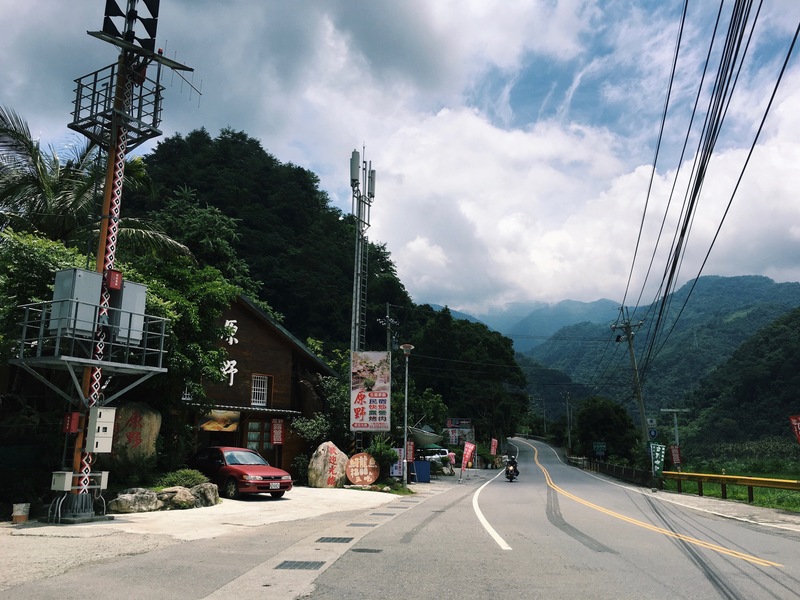 One day sweating your way through a night market in the southwest, and the next morning you’re sweating in the mountains clear across the island nation (see also: it’s humid AF here). On a less cheerful note, somewhere in the whirlwind of my first weeks here I got sick and still haven’t recovered. This happened the last time my Asia trip was coming to a close; maybe my body is just rejecting the idea of going back to America. I decided to cut my east coast exploration short and return to Taipei early to heal. Fresh air is great, but I’m a city person and feel more relaxed in a bustling metropolis. The end of the trip is closing in on me quickly. With less than a week until I fly to California, I’ll cram in some more work while I’m here and try to reflect on the three months abroad (conveniently glossing over the shortcomings, of course). 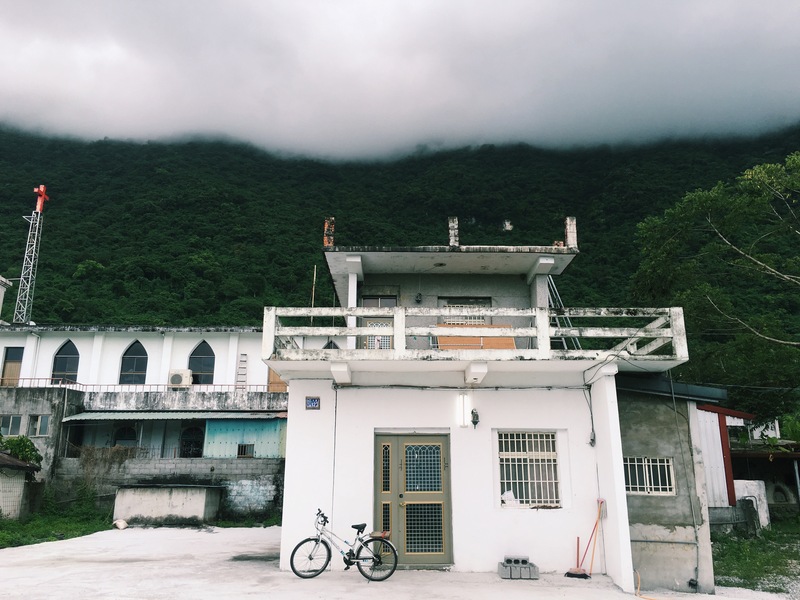 Hualien, land of very humid beaches.